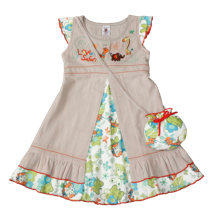 A one piece dress made from wonderful cool thin cotton fabrics. The printed feature fabric is seen on the main front panel of the dress, & is picked up on the capped sleeves and on the separate handbag. 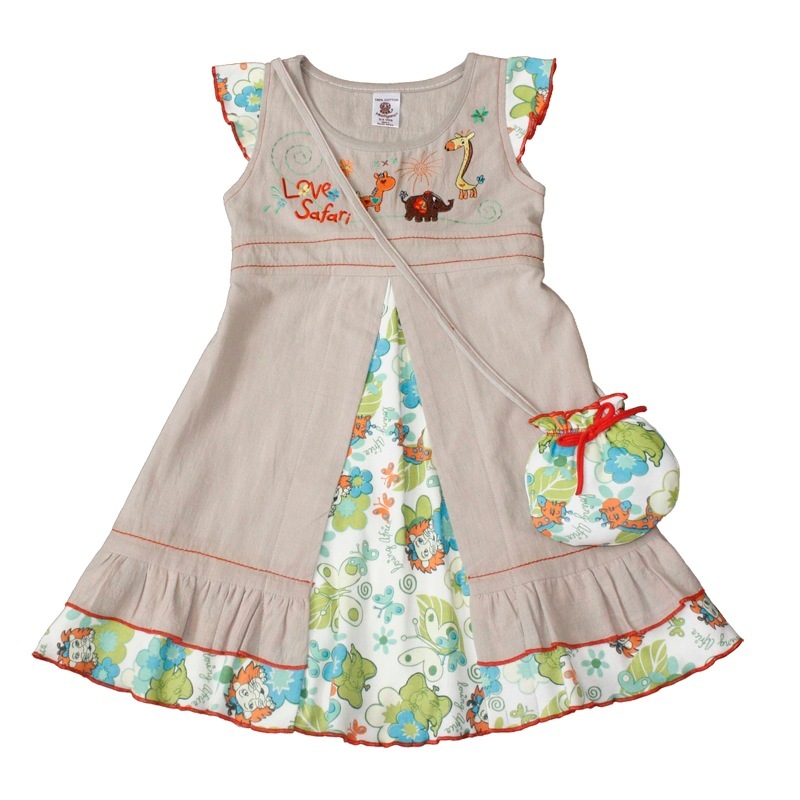 A fully embroidered stunning African safari scene can be found on the top panel of the dress. Red detail top stitching finishes this outfit off. Look out for the matching hairband.